“Burns beautifully, sensitively illustrates the transformative dawning in Cricket’s consciousness that there may be some outcroppings and dents starting to scar the glittering surface of Dodo’s 75-year-old brain. 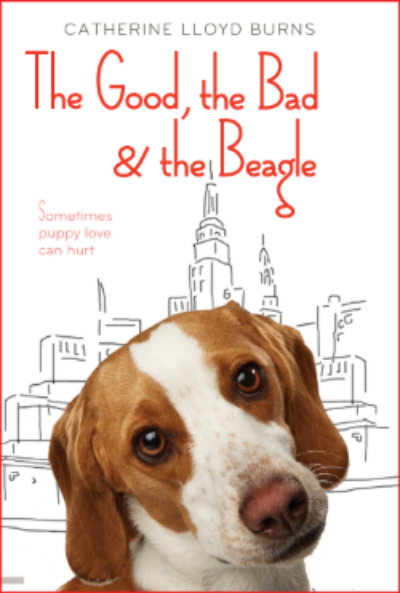 This video was made before I decided on The Good the Bad and the Beagle as the title for my book. The working title was then "Veronica Louise Morgan". 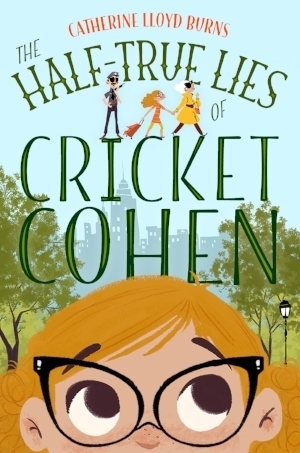 Set in a Manhattan reminiscent of Louise Fitzhugh’s, and starring a protagonist with as much verve as one of Beverly Cleary’s, this is the story of feisty eleven-year-old Veronica Morgan, who believes that a furry lemon beagle from the neighborhood pet store will be the solution to the endless worries she has about life in general and friendship in particular. This is a problem, since her bumbling psychiatrist parents won’t buy her the puppy she wants or stop meddling in her life at her challenging new school. But things never turn out the way you plan, particularly if you never stop expecting the worst to happen, and haven’t taken a chance on being a true friend yourself. I gave up my dream of being a stewardess named Bridgett. But I never gave up my dream of being on tv. I also knew I was going to write books. I kept this plam a secret because a friend of our family's was a writer and he was crazy. Not crazy in a bad way, just crazy in the way that no one ever believed anything he said because he was so flamboyant. Pretty much anything he said, someone would say, "Oh come on, that's crazy." He was a character. He was flamboyant. He was not to be taken seriously. Our house was filled with his screenplays and manuscripts. When he told me that I was a writer, I simply didn't take it seriously. But I never forgot it. Writing and acting are similar because they both involve spending lots of time inside the heads of people who are made up. I think it is important to know your characters and to like them. No one is all good or all bad. Writing is more fun than acting because I don't have to wait for someone to say, "you got the part!" or to say, "action!" or for all the actors to show up. I just show up at my desk and get going. And when it's going well, it is incredibly fun to be inside the characters I make up. The book I wrote for adults is called It Hit Me Like a Ton of Bricks.